I’ve been meaning to update this blog, well, at least once a week…but many things happened since the last update. 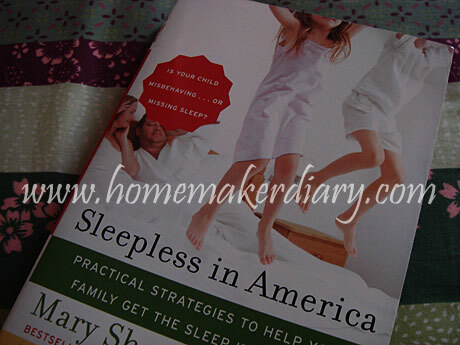 I’ve been planning to share about this great book – Sleepless in America: Is Your Child Misbehaving…or Missing Sleep? by Mary Sheedy Kurcinka that I have been reading, only a few more chapters to be completed. Most people I know don’t really have problem with their children sleeping time, but I do have big issue about that. Most are blessed with easy-to-sleep children who can simply sleep anywhere, anytime. But not with my son, though. One of the traits of high need child is their reluctance to nap and go to sleep at night. It seems that they are wired that way. Their heads are bubbling with ideas and excitement and the more tired they are, the harder it gets for them to fall asleep. After I finish reading this book, I’m going to buy another book by the same author, specifically for spirited child – Raising Your Spirited Child: A Guide for Parents Whose Child Is More Intense, Sensitive, Perceptive, Persistent, Energetic. It will help me understand my son better and in time I hope I could help him be a better, well adjusted person as well. 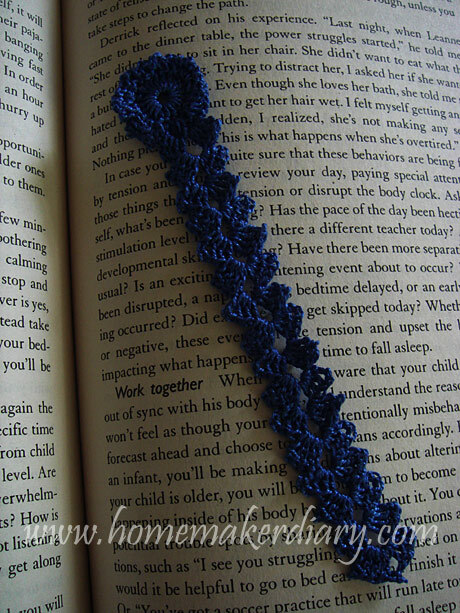 BTW, I managed to crochet this blue bookmark while waiting for him to fall asleep..heh! There were days when I have to let him play or watch cartoon at 4am or we simply lie down and try to be ready to sleep (in many cases, I pretend to be asleep), and those time that keeping me awake, I try to keep myself occupied (and not fall asleep) by crocheting. Well, having a spirited child like mine really inspires me to learn many, many new things in life. Life with him around sometimes means sleepless nights but it is a never boring one, trust me!